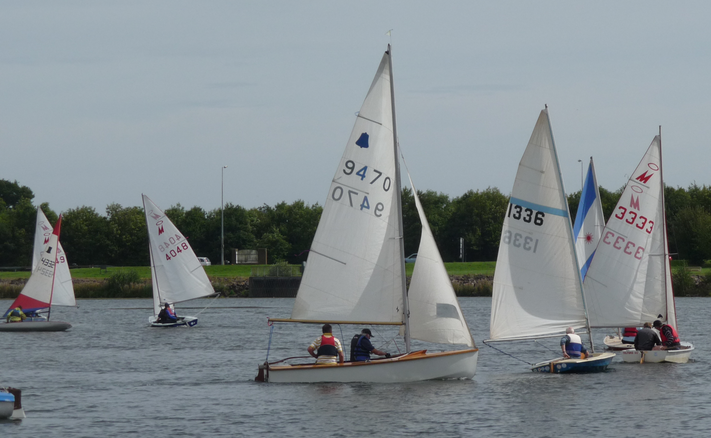 Sunday 1st September saw a fantastic turnout for the 2013 regatta day. Â Phil presided over a busy schedule of 5 races contested during the morning and afternoon, with excellent conditions – not just a good breeze which strengthened throughout the day, but also a marked reduction in weed cover due to some hard graft from Glyn supported by the water ski club. 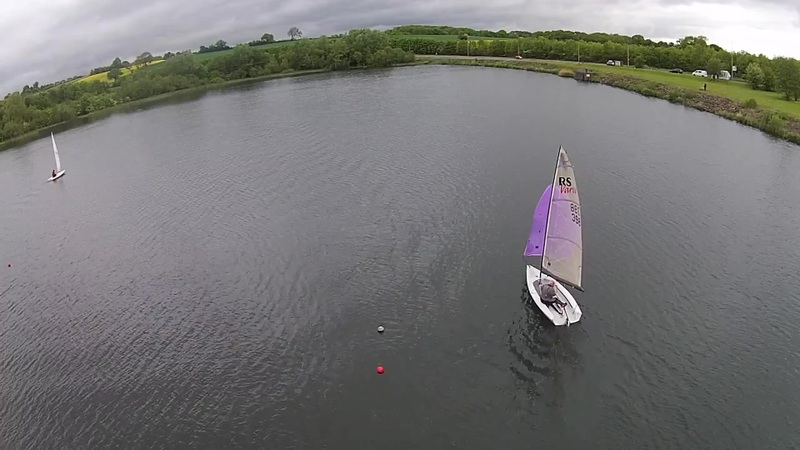 Each of the races was a handicap, with the whole fleet starting at the same time and doing either two or three laps of the course, and then Phil did some clever stuff involving a calculator to work out the final positions. Â The final rankings were calculated from the best 3 results for each dinghy over the possible 5 races. There were two shields awarded, for the best helm and the best crew, so congratulations to Colin Mapp and Pam King respectively!